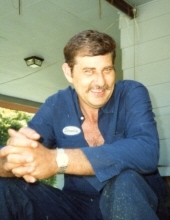 Stanley Thornsberry, age 67 of Eastern, Kentucky, passed away on Thursday, March 21, 2019 at his residence. He was born May 19, 1951 in Knott County, Kentucky to the late Elmol “Eck” & Mary Slone Thornsberry. He was the husband of Brenda Cook Thornsberry. He was a coal miner. Along with his wife he is survived by his Daughters: Angela Dawn (Tad) Cordial of Eastern, Kentucky & Kristy Lynn (Jeremiah) Swiger of Eastern, Kentucky; Grandchildren: Chelsea (Bradley) Daniels, Savannah (Justin) Napier, Jasmine Reed, Luke Swiger, Isabella Cordial, Sophie Swiger, Blake Cordial, Brandon (Toni) Cordial & Zachary Cordial; 2 Great Grandchildren: Preston & Maverick; Brothers & Sisters: Adron Thornsberry of Topmost, Kentucky, Randall Thornsberry of Salyersville, Kentucky, Earl Dana Thornsberry of Kite, Kentucky, Flo Reed of Prestonsburg, Kentucky & Zalie Combs of Mousie, Kentucky; A Host of Nieces, Nephews, Family & Friends. Along with his parents he was preceded in death by his Grandchild: Kylie Cordial; Brother & Sisters: Daniel Thornsberry, Debra Lynn Thornsberry, Arnie Elliott, Buena Gail Little & Yvonne Thornsberry. He will be missed by all that knew and loved him. "Email Address" would like to share the life celebration of Stanley Thornsberry. Click on the "link" to go to share a favorite memory or leave a condolence message for the family.